Being a blogger you need to come up with new topics every now and then to get your readers stick up to your page and refresh every now and then to read the new content. Before my readers get bored with fashion lookbooks and beauty trends it’s time to change the stuff what I usually do. So,I decided to do “Monthly eats” excerpt at the end of every month. I am not a big fan of eating outside the restaurant or deli,as I still prefer to eat healthy food made at home to watch out my health but once in a month it’s completely fine for me to change the taste and mind in the terms of food. 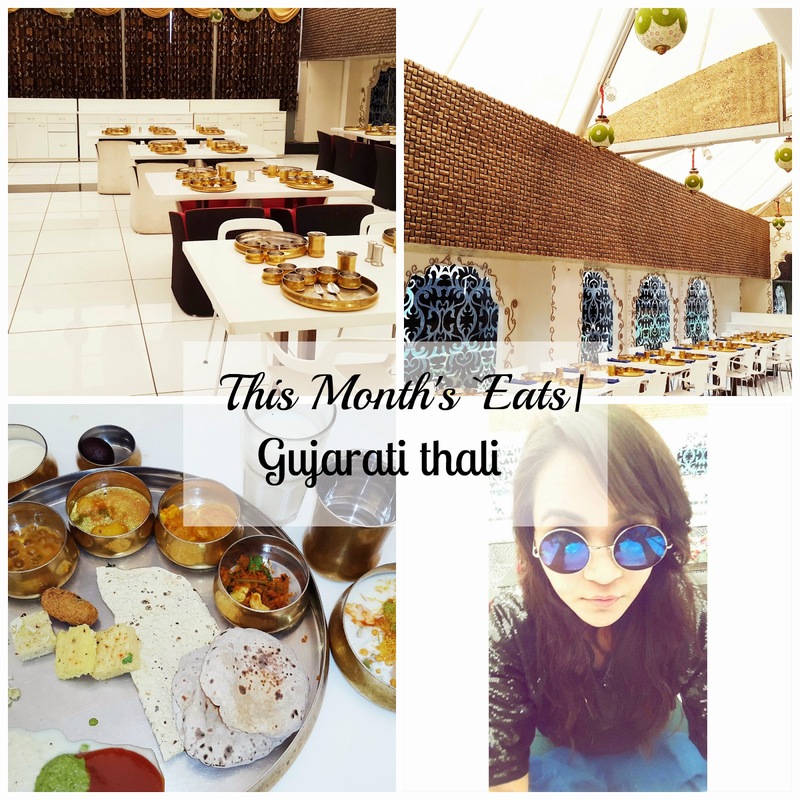 It is actually good to read the blog where I chat about the favorite food and the restaurants that I have eaten at that month. 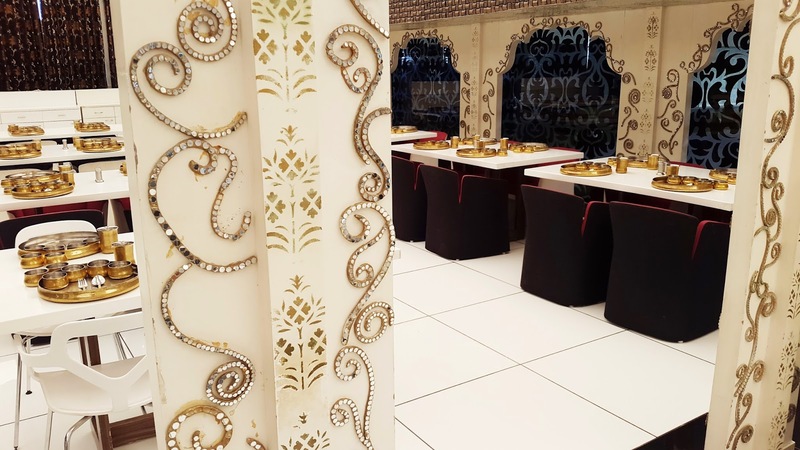 So, this weekend I went to the restaurant which is called “Aagrah” (In english- “To insist”) it’s in the capital city of the state Gujarat,India and they are popularly known for serving the best “Gujarati Thali” in the traditional moulded aura of the place. 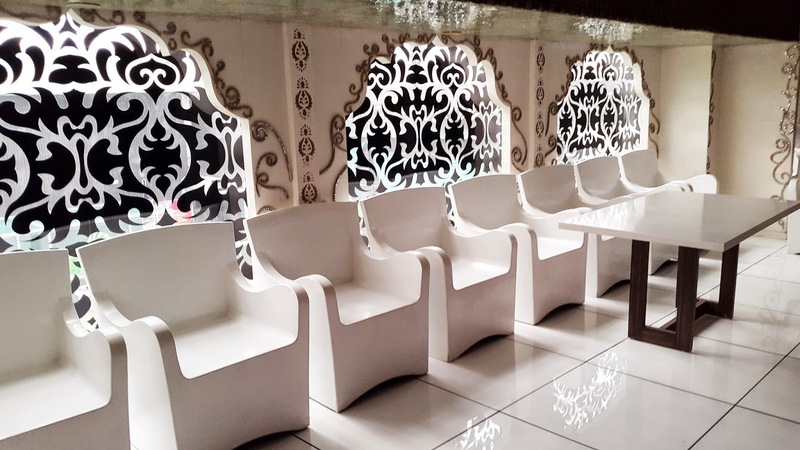 The place is traditional with it’s designing techniques and their serving process including the tint of modernity in their atmosphere lying in the zone of comfort and style. 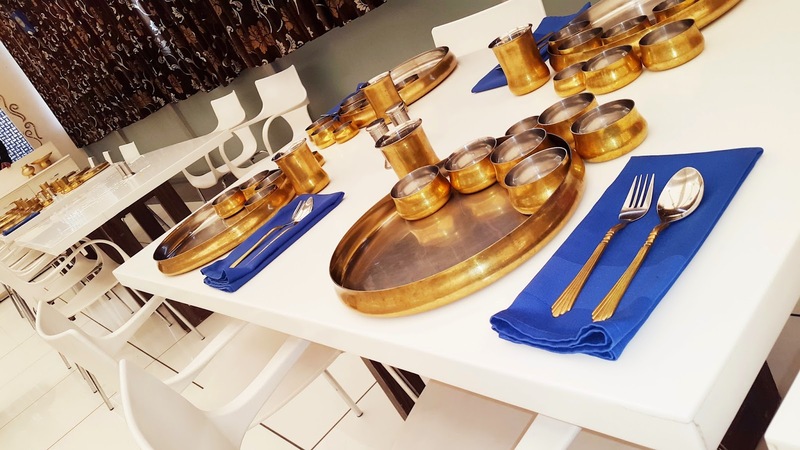 The interiors are specifically white which brightens up the place with well lit sunlight and place, whereas the “thalis” or plates are made of copper and brass to ensure that there is still some ethnic authenticity in the place. 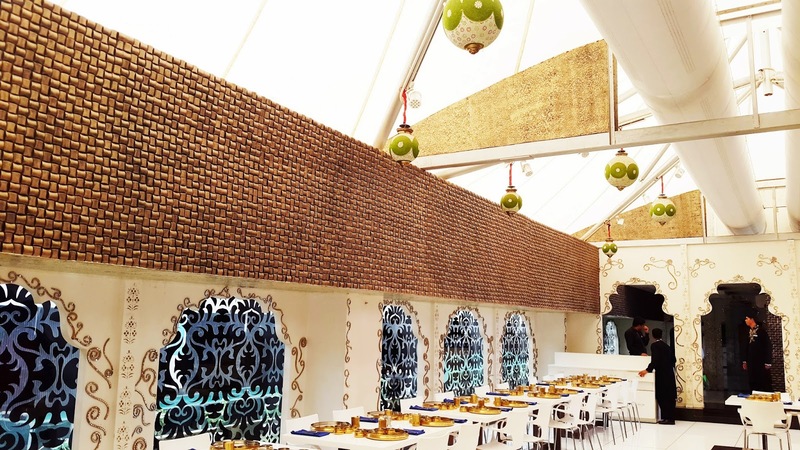 This place is a perfect blend of modern and village lookalike,their pillars remind you of the perfect scriptures of the traditional walls decorated with beautiful beads and glasses. 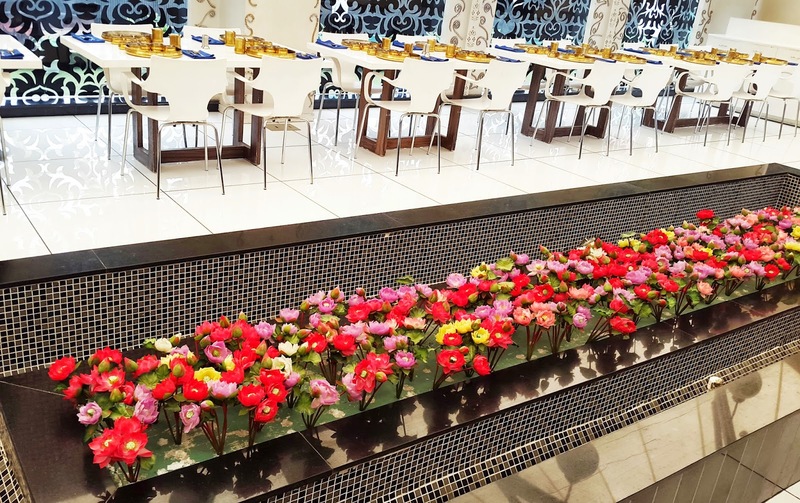 The whole place is divided into the lane filled and decorated with water and fake flowers and just above the reflection of sunlight the water shines like glitters , Beautiful ! 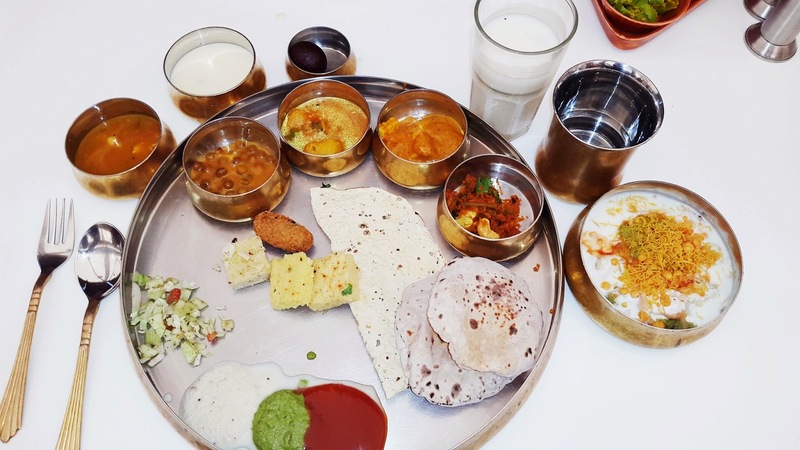 This is what standard gujarati thali looks like,whatever they offer is “unlimited” which means you can evrything every time,anytime. 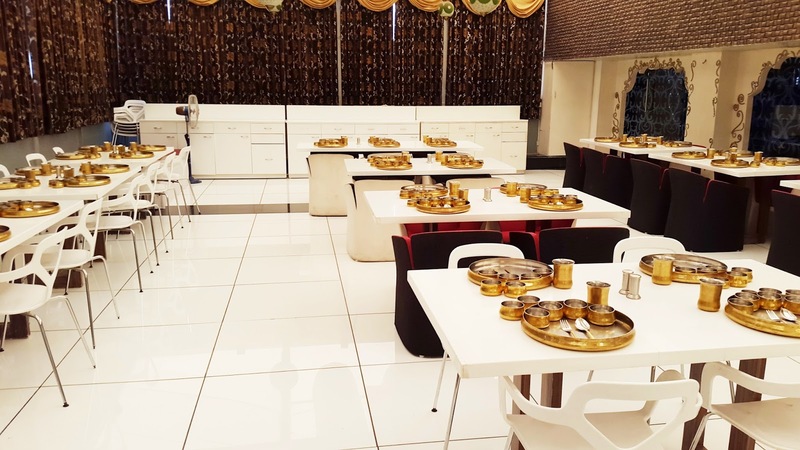 They offer 3 types of snacks”,“3 types chutneys” , 3 types of “dessert” , “4 types of curries,4 types of relished gujarati snacks” , they make you feel like king and eat like king. 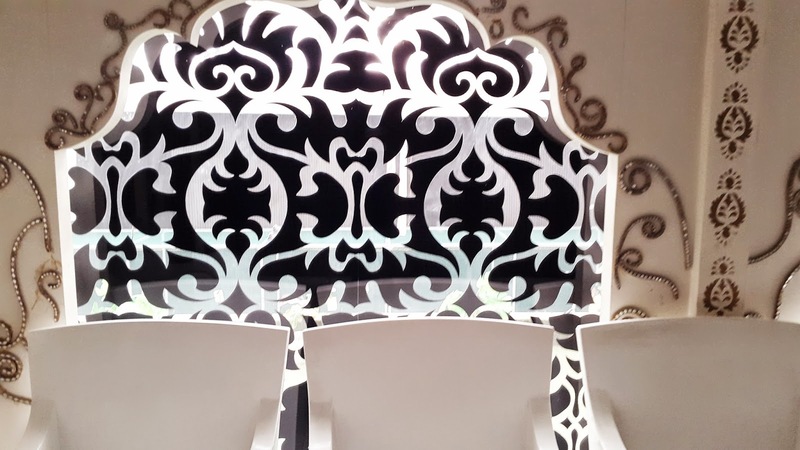 The glasses in the waiting room kind of reminded me of the Arabic style interiors,they felt cozy and amazingly comfortable. For my look: I went to edgy style make up look,sequined sheer blouse and boyfriend denims with white sneakers and leather bag adding the edgy statement with “John Lennon glasses”. Hope,you guys like this blog, If you want more such kind of blogs then comment in the comment section. Previous articleClaire’s – Haul ! !